April 2017 – SurfWatch Labs, Inc.
On Friday, 32-year-old Russian hacker Roman Seleznev was sentenced to 27 years in prison for running a cybercriminal operation that stole millions of payment cards, resulting in at least $169 million in damages to small business and financial institutions. It’s the longest sentence ever issued in the U.S. for cybercrime, and the court documents and testimony that led to the sentence revealed the inner workings of a decade-long operation that helped to grow and evolve payment card fraud into what it is today. In total, the government was able to identify 2,950,468 unique credit card numbers that Seleznev stole, possessed, or sold related to more than 500 U.S. business, subsequently affecting 3,700 financial institutions around the world. And — as the government pointed out — that is just the known losses. Photo of money taken from Seleznev’s iPhone, which was confiscated upon his arrest in July 2014. In addition, the laptop in his possession at that time contained more than 1.7 million stolen credit card numbers. As we wrote when Seleznev was convicted on 38 of the 40 counts he faced last year, many of the organizations he targeted were small businesses, and the testimony of seven of those businesses were heard in the court case. Seattle’s Broadway Grill has perhaps been the most publicized of the point-of-sale breaches. Owner CJ Saretto testified that bad publicity from the breach instantly reduced the restaurant’s revenue by 40 percent and eventually forced him to “walk away from the business, shutter the doors, [and file] personal bankruptcy.” Other owners testified that the effect on business was “horrendous,” that the breach forced them into heavy debt, and that business “has never been the same” since the incident. It’s no coincidence those that testified in the case against Seleznev were small business owners. Seleznev tended to target small businesses in the restaurant and hospitality industry, particularly if they had poor password security around their point-of-sale devices. Seleznev “developed and used automated techniques, such as port scanning, to identify retail point of sale computer systems … that were connected to the Internet, that were dedicated to or involved with credit card processing, and that would be vulnerable to criminal hacks,” the indictment stated. However, Seleznev went far beyond merely stealing payment card information, he also helped to develop and operate websites to market the stolen data and promote more individuals to get into payment card fraud. Seleznev was 18 years old when he began participating in the Russian underground “carding” community under the alias “nCuX,” and seven years later, in 2009 when the U.S. Secret Service tried and failed to coordinate his arrest, he had become a major provider of stolen credit card data, according to court documents. Just three months after being tipped off to the potential arrest by contacts inside the FSB and retiring his “nCuX” alias, Seleznev was back in the game under the name “Track2.” He soon unveiled two new automated vending websites, “Track2” and “Bulba,” which allowed buyers to to automatically search and purchase his stolen credit card data by using filters such as a particular financial institution or card brand. Screenshot of Bulba, an automated vending website used by Seleznev to buy and sell stolen payment card information. The popular dark web marketplace AlphaBay adopted a similar automated shop for stolen payment card information in May 2015, but it includes more search options and a more user-friendly interface than Seleznev’s 2009 Bulba site. In April 2011, Seleznev was injured in a terrorist bombing in Marrakesh, Morocco, and hospitalized for several months. His co-conspirators ran the Track2 and Bulba websites in his absence until they closed up shop in January 2012 citing no new dumps to sell. Once again, Seleznev choose to return to cybercrime by innovating his operations. Switching monikers to “2Pac,” he launched a new automated vending site that would not only sell his stolen data but would offer stolen cards from “the best sellers in one place.” Seleznev would take a portion of the proceeds for each sale, and he used this model to resell credit data stolen in popular breaches such as Target, Michaels, and Nieman Marcus on the 2Pac site. Someone chatting with Seleznev trying to get payment card data stolen via ATM skimmers listed on the 2Pac site. The POS Dumps site linked to the 2Pac site and walked wannabe fraudsters through the steps necessary to become a criminal. The website even had links to eBay to purchase the necessary equipment (an MSR206 manual swipe magnetic card reader/writer) and custom malware to help write the stolen payment card data onto other cards. POS Dumps provided a “comprehensive” program to interface with the MSR206 magnetic reader/writer to help wannabe cybercriminals commit fraud. The prosecution wrote that the POS Dumps website “trained thousands of new criminals in the basics of how to use the data to commit fraud.” Similar types of tutorials related to fraud and cybercrime remain among the most commonly listed items on dark web markets today, according to SurfWatch Labs’ data. The prosecution argued that the U.S. sentencing guidelines stated that “unauthorized charges … shall not be less than $500 per access device.” Therefore, Seleznev’s 2.9 million stolen credit cards equated to more than $1.4 billion in losses. Court documents from the defense called the long prison sentence “draconian.” However, Seleznev clearly knew his actions could have serious consequences. He monitored the U.S. court’s PACER system for any criminal indictments against him, and when agents arrested him in the Maldives as he attempted to board a plane in 2014, he immediately asked if the U.S. had an extradition treaty. The U.S. did not have a formal treaty with the Maldives, but an agreement was obtained in the days prior to take custody of Seleznev. The prosecution described Seleznev’s sentencing guideline calculation as “literally off the charts.” A score of 43 recommends a life sentence, and Seleznev scored 16 points above that — a 59. The judge agreed with the prosecution and sentenced Seleznev to 27 years in prison last Friday. Point-of-sale breaches were once again among the week’s top trending cybercrime targets, as InterContinental Hotels Group (IHG) announced that its previously disclosed POS breach had expanded from the dozen properties reported in February to at least 1,175 properties. Affected hotels include popular brands such as Holiday Inn, Holiday Inn Express, InterContinental, Kimpton Hotels, Crowne Plaza, and more. According to the company’s press release, the investigation discovered “malware designed to access payment card data from cards used onsite at front desks for certain IHG-branded franchise hotel locations between September 29, 2016 and December 29, 2016.” The release doesn’t directly state the number of properties affected, instead it directs viewers to a cumbersome breach lookup tool that divides the nearly 1,200-strong list of affected properties into countries, states, and even hundreds of individual cities. That’s a sliver of good news; however, nearly 1,200 hotels were impacted and that list may grow in the future as “a small percentage of IHG-branded franchise properties did not participate in the investigation.” The lookup tool will be updated as new properties are added. Unfortunately, for heavy travelers that means returning to the clumsy tool periodically and checking every city they stayed in over the affected period for new breach updates. More breaches due to poor practices and faulty updates: The accidental posting of a file containing the embedded personal information of 5,600 individuals to Rhode Island’s Transparency Portal and General Assembly website is the third recent data breach tied to UHIP, a new system for state benefits. The cybersecurity company Tanium is apologizing for exposing information related to El Camino Hospital in California in hundreds of presentations for potential customers from early 2012 through mid-2015 as well as several now-deleted YouTube videos. As many as 2,000 individuals in the UK may have had their personal information visible to other customers on the RingGo parking app due to a faulty software update. Former employees continue to cause damage: A former employee of engineering firm Allen & Hoshall admitted to accessing the company’s servers repeatedly over a two-year period as well as accessing the email account of a former colleague hundreds of times in order to download and view data from his former employer. A man was arrested for attempting to steal proprietary computer code for a trading platform developed by his employer, an unnamed financial services firm with an office in New York. The online retailer Black Swallow has agreed to pay $60,000 to Showpo to settle a dispute alleging that a former Showpo graphic designer downloaded the company’s entire customer database and gave it to her new employer. Old data breaches come to light: Allrecipes is warning its users that their email addresses and passwords may have been compromised when logging into their accounts prior to June 2013, nearly four years ago. There is not a lot information on what happened, as the notification email said that the company “cannot determine with certainty who did this or how this occurred.” While announcing a series of automated attacks against its InCircle, Neiman Marcus, Bergdorf Goodman, Last Call, CUSP, and Horchow websites, Neiman Marcus also noted that a similar automated attack in December 2015 provided access to full payment card details — not just the last four digits as initially reported. Physical theft of sensitive data at hotel: Police seized bags of documents containing the personal information of guests staying at the Seasons Hotel at Sydney’s Darling Harbour, and one woman has been charged in relation to the theft, according to police. The information was likely stolen around March 21 and included dozens of guest registration forms, which feature photocopies of passports, driver’s licences, and other forms of personal identification. In addition to the wide-reaching POS breach that IHG announced this week, online retailers may also be at risk of potential payment card breaches due to an unpatched zero-day vulnerability in the Magento ecommerce platform. Magento is used by approximately 200,000 online retailers, so the vulnerability is a cause for concern, particularly since it is now public and likely will not be patched for at least several weeks. In addition, an attack could be carried out by targeting any Magento admin panel user. Do You Know Your Adversary? Who is the actor, what is their motivation and intent, capability, and opportunity? What is the threat campaign they are deploying? What is it targeting? How is it being carried out? What are the associated events and supporting evidence that can be used to provide a level of confidence around the seriousness and impact of this threat to your business? How can you reduce the adversary’s opportunity? What are the processes and/or tools to minimize this exposure? 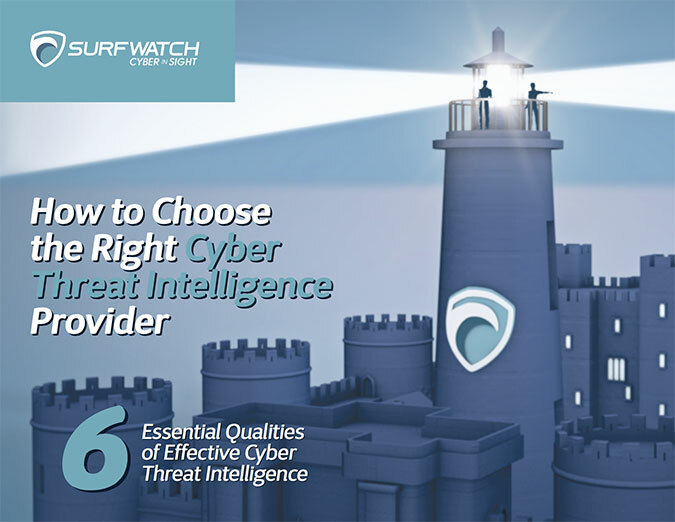 On Wednesday, April 26 at 1pm ET, please join us for a threat intelligence discussion and see a live demonstration of SurfWatch Threat Analyst, which recently received 5 out of 5 stars from SC Magazine. 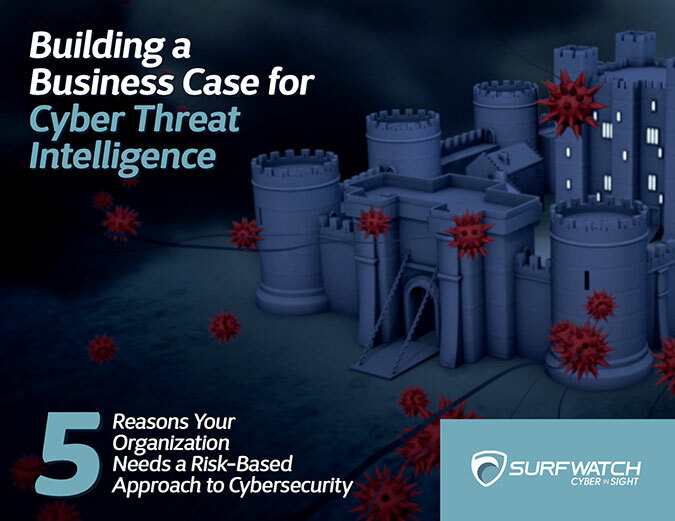 Adam Meyer, our Chief Security Strategist and head of the SurfWatch analyst team (and formerly a CISO with the 2nd largest transportation system in the US) will lead this discussion and demonstration. Author Sam ErdheimPosted on April 21, 2017 Categories EventsTags threat intelligence, webinarLeave a comment on Do You Know Your Adversary? Earlier this month, an undergraduate student in Korea apologized for creating and making public the joke ransomware “Resenware.” The malware didn’t ask for money to decrypt files; instead, it required victims to score more than 200 million points on the “lunatic” level of the shooting game Touhou Seirensen ~ Undefined Fantastic Object. A warning from Resenware shared by Malware Hunter Team. The story highlights how quickly publicly available source code can be spread, copied, and potentially repackaged by malicious actors. That isn’t as likely to happen with Resenware due to the lack of a financial component, though it could be utilized by actors looking to cause harm rather than turn a profit. Nevertheless, profit-driven actors have numerous other recent source code leaks they can pull from. For example, in December 2016, the source code for a commercial Android banking Trojan, along with instructions on how to use it, was released on a cybercriminal forum. Malicious actors quickly used that code to create the BankBot Trojan, which Dr. Web researchers noted can steal login credentials and payment card details by loading phishing forms and dialogs on top of legitimate applications, as well as intercept and delete text messages sent to the infected device. Since then, BankBot has made several appearances in the Google Play store, confirming Dr. Web’s January conclusion that the leak “may lead to a significant increase in the number of attacks involving Android banking Trojans.” In fact, just last week two malicious applications utilizing BankBot, HappyTimes Videos and Funny Videos 2017, were removed from the Google Play store after receiving thousands of installs. The BankBot Trojan is just one example of the continuing evolution of malware as the stockpile of effective cybercriminal tools continues to accumulate. The leak of these tools, whether made as a joke by amateurs or for malicious purposes by professional cybercriminals, means that more polished malware is now at the fingertips of malicious actors than ever before. Even if an inexperienced actor is unable to take and modify public malware source code, they can simply turn to professionally run as-a-service malware options that are likely doing so. Last week MalwareBytes released a report with an interesting chart on ransomware trends. It shows that the Cerber ransomware-as-a-service (RaaS) has come to dominate the ransomware market with a nearly 90% share as its main competitor, Locky, has declined. Cerber is dominating the ransomware market as Locky fell off sharply, according to MalwareBytes’ honeypots. “Cerber [has spread] largely because the creators have not only developed a superior ransomware with military-grade encryption, offline encrypting, and a slew of new features, but by also making it very easy for non-technical criminals to get their hands on a customized version of the ransomware,” the report authors noted. Those types of criminal operations can greatly benefit from the large amount of exploits and malware source code that has made its way into the public domain this year. The release of the source code for the NukeBot banking Trojan, a modular Trojan that comes with a web-based admin panel to control infected endpoints. New allegedly NSA-developed exploits leaked by TheShadowBrokers, including last week’s release of a series of now-patched Windows exploits and a critical vulnerability that can hijack Solaris systems that was released a week prior (and patched today by Oracle). More leaks of alleged CIA exploits and tools, some of which claim the CIA benefited by repackaging components of the Carberb malware source code, which was leaked in 2013, into CIA hacking tools. A report last week claimed that the Callisto APT Group used tools leaked from the surveillance company HackingTeam, which was breached in 2015, in a series of targeted attacks last year. Whether it’s nation-state actors, cybercriminal groups, or amateur hackers, they can all benefit by the leak of these tools over the past month. If past leaks are any indication, malicious actors will incorporate any effective tools and techniques from the recent leaks into their already-existing cyber arsenals. As the collective knowledge grows on the cybercriminal side, it’s crucial that organizations harness their own threat intelligence in order to have their finger on the pulse of malicious actors. With that information they can more effectively counter the slew of new vulnerabilities, exploits, and as-a-service tools being used to infiltrate their networks and damage their organization. Gamestop was the week’s top trending cybercrime target as the company is investigating reports that customer payment card information may have been stolen from gamestop.com. In addition to Gamestop, payment card information was also stolen from the restaurant chain Shoney’s and a series of car washes have issued breach notification letters tied to a compromise at an unnamed third-party point-of-sale (POS) provider. Two sources told Brian Krebs last week that an alert from a credit card processor indicated gamestop.com was likely compromised by intruders between mid-September 2016 and the first week of February 2017. The sources said that card numbers, expiration dates, names, addresses, and verification codes were stolen due to the breach. Gamestop also operates thousands of retail locations, but there is no indication that those have been affected. However, dozens of Shoney’s locations were impacted by a recent POS breach. A week after Krebs reported the Gamestop breach, confidential alerts from credit card associations stated that similar payment card data was stolen from the restaurant chain. Best American Hospitality Corp., which manages some of Shoney’s corporate affiliated restaurants, later issued a press release saying that remotely installed POS malware led to breaches at 37 Shoney’s locations between December 27, 2016, and March 6, 2017. In addition, Acme Car Wash, Auto Pride Car Wash, Clearwater Express Car Wash, Waterworks Car Wash, and Wildwater Express Carwash were all notified of a point-of-sale (PoS) malware infection by their unnamed third-party POS provider. The notification occurred on March 27, and customers who used a payment card at those business during various periods in February may have had their data compromised. New data breaches announced: A backup database containing information on 918,000 people and belonging to telemarketing company HealthNow Networks was exposed on the Internet, compromising a variety of individuals’ personal and health information. The payday loan company Wonga is investigating a data breach that may have affected up to 245,000 customers in the UK and 25,000 customers in Poland. As many as 115 families had their private information compromised when the Victorian Education Department mistakenly published documents to its website for 24 hours. At least 83 University of Louisville employees had their W-2 forms accessed when an intruder gained access to W-2 Express, a product of Equifax used by the school to provide employees with access to tax documents. More SWIFT attacks made public: The Union Bank of India faced an attack leveraging the SWIFT system that attempted to perform $170 million in fraudulent transactions last July, but the bank was able to block the transfer of funds, the Wall Street Journal reported. The bank’s SWIFT access codes were stolen by malware after an employee opened a malicious email attachment, and the codes were used to send fraudulent instructions in an attack similar to the one that successfully stole $81 million from the Bangladesh central bank’s account at the New York Federal Reserve in February 2016. Ransomware continues to impact patient care: A ransomware infection at Erie County Medical Center blocked access to electronic patient records and forced the center to reschedule some elective surgeries, sources told news outlets; however, the hospital has yet to confirm the shutdown of its computer was due to ransomware. IT workers have been re-imaging about 6,000 desktop computers that had to be wiped clean as a result of the infection. Ashland Women’s Health reported a data breach affecting 19,727 patients after ransomware encrypted data on the practice’s electronic health record system, including its patient scheduling application. The practice was able to restore the encrypted data using a backup, and patient care was impacted for a couple of days due to the incident. Amazon seller accounts being hacked: Hackers are using previously compromised credentials to hijack the accounts of third-party sellers on Amazon Marketplace, change the bank account information, and then post nonexistent merchandise at cheap prices to defraud customers. The buyers are eligible for refunds from the sellers, which may come as a surprise to the account owners as the hackers are targeting dormant accounts. A company spokesperson told NBC News that it is working to make sure sellers do not have to handle the financial burden of the hacks. Other notable cybercrime events: Five inmates at the Marion Correctional Institution used computers built from spare parts and hidden in a ceiling in a closet to perform a variety of malicious activities while incarcerated. A team of Indonesian hackers gained access to the online ticketing site Tiket.com and stole approximately Rp 4.1 billion ($308,000 USD) worth of airline tickets from carrier Citilink. Dallas officials are blaming a hacker for setting off all 156 of the city’s warning sirens more than a dozen times. A variety of stories from the past week once again highlighted threats that originate not from external hackers, but from organizations’ employees and poor risk management practices. 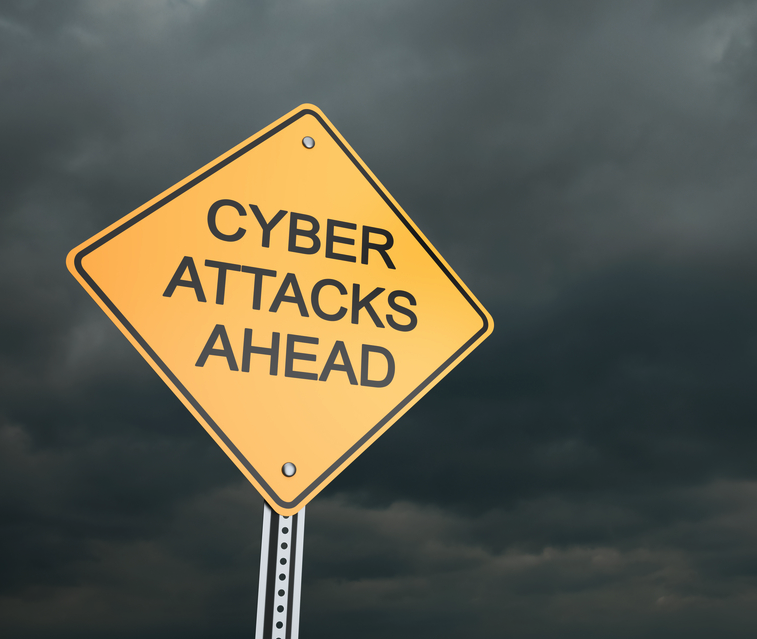 To start, Allegro Microsystems has accused a former employee of causing $100,000 worth of damages by logging into the company’s network multiple times after resigning in order to implant malware. According to court documents, the man allegedly returned a computer meant for personal use rather than his work computer when resigning, and he used that work computer along with system administrator credentials to insert malicious code into Allegro’s finance module. The employee “designed the malicious code to copy certain headers or pointers to data into a separate database table and then to purge those headers from the finance module, thereby rendering the data in the module worthless,” the documents stated. Another case involved a DuPont employee who admitted to stealing data from DuPont in the months before he retired in order to bolster a consulting business he planned to run. The man allegedly copied 20,000 files to his personal computer, including formulas, data, and customer information related to developments in flexographic printing plate technology. He also took pictures of restricted areas of DuPont’s plant. On the regulatory side, the FDA sent a letter to St. Jude Medical demanding the company take action to correct a series of violations related to risks posed by the company’s implantable medical devices — an issue that received quite a bit of attention last summer after a report published by Muddy Waters and MedSec shed light on the alleged vulnerabilities. St. Jude must respond to the FDA within 15 days with “specific steps [it has] taken to correct the noted violations, as well as an explanation of how [it] plans to prevent these violations, or similar violations, from occurring again” — or else St. Jude may face further regulatory action, including potential fines. That is what happened to Metro Community Provider Network (MCPN), which agreed last week to pay $400,000 following a January 2012 phishing incident that exposed the electronic protected health information (ePHI) of 3,2000 individuals. An investigation conducted by the Office for Civil Rights revealed that “prior to the breach incident, MCPN had not conducted a risk analysis to assess the risks and vulnerabilities in its ePHI environment, and, consequently, had not implemented any corresponding risk management plans to address the risks and vulnerabilities identified in a risk analysis.” As a result, MCPN will pay the penalty and implement a corrective action plan to better safeguard ePHI in the future. Last month a new ransomware emerged known as “Kirk Ransomware.” The malware was interesting not just because of the Star Trek-themed imagery of James Kirk and Spock that it used, but also because it may be the first ransomware to demand payment via the cryptocurrency Monero. Victims of the Kirk Ransomware are walked through how to make their ransom payments using Monero. There are literally hundreds of different types of existing cryptocurrencies like Monero that cybercriminals can choose from, but bitcoin is the most well known and has been the most widely used, by far, when it comes to ransomware. Bitcoin’s status as the reigning cryptocurrency king has been driven, in part, by the growth of cybercriminal markets and ransomware actors that greatly benefit by having a semi-anonymous payment option available. However, bitcoin is facing both growing pains and an expanding group of credible challengers that claim to have better answers to some of the current issues facing cryptocurrencies. Cryptocurrencies are, for better or worse, intertwined with cybercrime, and dark web markets and malicious actors adopting new forms of payment such as Monero and Ethereum are helping push those currencies to new heights. With that growth comes new opportunities for cybercriminals as well as new concerns for law enforcement. As we noted in a recent blog on AlphaBay’s plans to adopt Ethereum next month, the cryptocurrency has seen a dramatic increase in price on the heels of AlphaBay’s announcement and partnerships with legitimate financial institutions. Likewise, Monero was worth around $2.50 the day before AlphaBay announced plans to adopt the currency, and less than eight months later it has jumped to more than $26. In December 2016 an AlphaBay support representative told Bitcoin Magazine that Monero accounted for about two percent of its sales, so bitcoin remains king. However, one can assume that the actors behind AlphaBay have plenty to gain financially by riding the wave created by the largest dark web marketplace adopting new cryptocurrencies — besides simply appeasing their customers. Monero — which advertises itself as a “secure, private, untraceable currency” — is perhaps the most praised among cybercriminals. Bitcoin was not designed to be anonymous, and every transaction is publicly visible on the distributed ledger known as the blockchain. That’s why malicious actors use third-party tools such as bitcoin tumblers to help hide the origins of bitcoins. It’s also why law enforcement officials and security researchers have been able to “follow” bitcoins to bust those buying and selling illicit goods and services. Monero, on the other hand, allows users to send and receive funds without transactions being publicly visible on the blockchain, which is one of the reasons some malicious actors prefer it. Monero is safer for both the buyer and seller, wrote one AlphaBay user. Although cryptocurrencies such as Monero have not been as heavily scrutinized by law enforcement as the more popular bitcoin, their adoption among malicious actors is a concern — even if Monero is not perfect. As a case in point, the dark web marketplace known as Oasis, which beat AlphaBay by two weeks to become the first market to accept Monero, suddenly went offline in late September 2016 in what may have been an exit scam. Various users quickly reported that at least 150 bitcoin was lost in the potential scam, but guessing how much Monero currency was stolen proved to be much more difficult. “If we can’t find out, that’s a good thing,” wrote one redditor. However, the FBI likely has a different view. The CIA remained as the top trending cybercrime of the week as WikiLeaks released a fourth set of documents related to the agency. The new dump includes 27 documents from the CIA’s Grasshopper framework, which WikiLeaks described as “a platform used to build customized malware payloads for Microsoft Windows operating systems.” The leaked CIA tools will likely continue to dominate much of the cybercrime discussion in the coming weeks as WikiLeaks appears to have a slow-drip campaign designed around maximizing the leak’s publicity. The top trending new cybercrime target of the week was Scottrade, which was one of several organizations to experience a data breach due to insecure, publicly exposed data. The Scottrade incident was caused by “human error” at third-party vendor Genpact, which uploaded a data set to one of its cloud servers without the proper security protocols in place. As a result, “the commercial loan application information of a small B2B unit within Scottrade Bank, including non-public information of as many as 20,000 individuals and businesses” was exposed, Scottrade said in a statement. Security researcher Chris Vickery, who discovered the exposed database, said it contained 48,000 lessee credit profile rows and 11,000 guarantor rows, and that each row contained various types of personal information, including Social Security numbers. The database also contained internal information such as plain text passwords and employee credentials used for API access to third-party credit report websites. IRS announces another data breach: The IRS is notifying 100,000 people that their tax information may have been compromised due to a data retrieval tool used when filling out the Free Application for Federal Student Aid (FAFSA). Officials first learned of the potential issue in September 2016, but the service was not disabled until suspicious activity was observed in February. Malicious actors could pretend to be students, start the financial aid application with relatively little stolen information, and give permission for the IRS to populate the form with tax data that could then be used for fraudulent returns. Healthcare organizations targeted: An amateur actor appears to be targeting healthcare organizations with spear phishing messages designed to infect victims with a variant of the Philadelphia ransomware, an unsophisticated ransomware kit that sells for a few hundred dollars. Researchers believe spear phishing messages containing a shortened URL that led to a malicious DOCX file on a personal storage site were used to infect a hospital from Oregon and Southwest Washington. ABCD Pediatrics said that its servers were infected with “Dharma Ransomware” and while investigating the incident the company also discovered suspicious user accounts that suggested a separate incident of unauthorized access. APT10 hacking group makes headlines: The APT10 hacking group has gained access to the systems of an “unprecedented web” of victims by first targeting managed outsourced IT service companies with spear phishing messages and custom malware and then using those companies as a stepping stone into their clients’ systems. The group also inserted malicious links into certain pages of the National Foreign Trade Council’s website in order to target individuals registering for specific meetings. While business email compromise scams and other digital fraud continues to impact numerous organizations, several stories this week proved that criminals are still attempting to steal physical cash from ATMs around the world. The flashiest story involved a gang based out England that used explosives and stolen high-powered vehicles to rip ATMs from walls. The gang would then put the stolen ATMs inside a large truck and drive away, in at least one instance right by the very police looking for them. Police announced that several recent raids had led to the arrest of the gang. Less flashy attempted ATM thefts from hotels in Edmonton led police to advise business last month that owners should bolt ATMs to the floor and place them in well lit, high-traffic areas that are monitored by surveillance cameras. A new, more discreet method of stealing money from ATMs involves emptying the cash stored in certain models by drilling a three-inch hole in its front panel and using a $15 homemade gadget that injects malicious commands to trigger the machine’s cash dispenser. Kaspersky Lab researchers first became aware of the attack in September 2016 when a bank client discovered an empty ATM with a golf-ball sized hole by the PIN pad. Since then, similar attacks using the drill technique have been observed across Russia and Europe. The researchers did not name the ATM manufacturer, but they said the issue is difficult to fix since it would require replacing hardware in the ATMs to add more authentication measures. Kaspersky Lab also released findings on another series of ATM attacks first hinted at back in February when a series of attacks that used in-memory malware to infect banking networks were reported. Code from the penetration-testing software Meterpreter code was combined with a number of legitimate PowerShell scripts and other utilities to create malware that could hide in the memory and invisibly collect the passwords of system administrators. That access was then used to remotely install a new breed of ATM malware called ATMitch, Kaspersky Lab researchers said in a report issued last week. The ATMitch malware communicates with the ATM as if it is legitimate software and makes it possible for attackers to collect information about the number of banknotes in the ATM’s cassettes as well as dispense money at the touch of a button. The attackers may still be active, the researchers noted, but it is unknown how many ATMs have been targeted by the malware since the malware self-deletes after the attack. What is clear is that ATM machines remain a popular target for criminals, and businesses should be aware of the evolving methods — both crude and sophisticated — being used to steal the cash inside them.